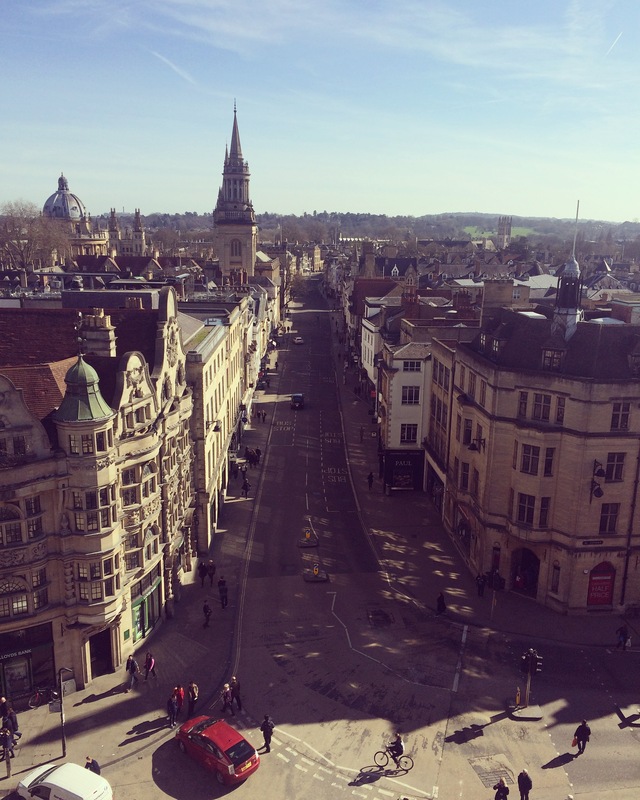 I was in Oxford last week to attend a series of workshops as part of my Masters in Creative Writing. I arrived a day earlier in order to ready myself before the headlong dive into workshops. One of my favourite things to do when I have some time to myself is to look at antiques. There’s a lovely antiques store called Antiques On High (Broad Street, Oxford) not far from the Sheldonian Theatre. I’ve picked up some Wedgwood pieces there for next to nothing in the past. This is a wonderful warren-like store to browse, with trinkets and fossils and artworks and books and art deco jewellery and etchings and everything you can imagine. They also have a small selection of daguerrotypes. According to daguerrobase.org, a daguerrotype was “…the first commercially successful photographic process (1839-1860) in the history of photography. Named after the inventor, Louis Jacques Mandé Daguerre, each daguerreotype is a unique image on a silvered copper plate. In contrast to photographic paper, a daguerreotype is not flexible and is rather heavy.The daguerreotype is accurate, detailed and sharp. It has a mirror-like surface and is very fragile…Numerous portrait studio’s opened their doors from 1840 onward. Daguerreotypes were very expensive, so only the wealthy could afford to have their portrait taken. 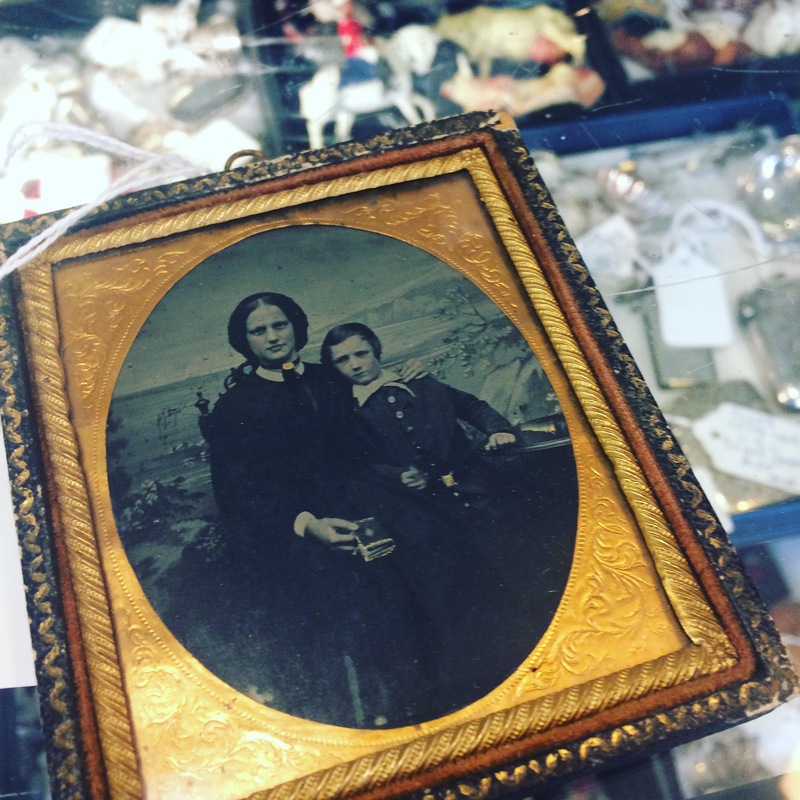 Even though the portrait was the most popular subject, the daguerreotype was used to record many other images such as topographic and documentary subjects, antiquities, still lives, natural phenomena and remarkable events.” Fascinating! I was immediately drawn to this very striking and unnerving portrait of a mother and son. The cost of the daguerrotype was a mere 35 pounds. I thought to myself, “I have to have it.” I sought permission to photograph the daguerrotype and I WhatsApp’d (I guess this is a verb now) the photograph to both my husband and a close friend. I was looking for their approval to go ahead with the purchase, something I don’t normally do. The daguerrotype was so exhilarating to look at, but there was something so alive about it too. The sullen portraits appeared to be full of energy. I wondered where I might keep such a precious historic item. Under the bed? Framed on the wall? In a box? And there was the small issue of ‘juju’. My husband and friend hinted at their reservation. Who were these people? Where did the daguerrotype come from? What’s its history? And isn’t this daguerrotype a little too creepy to keep in your house? In spite of my initial glee at coming across such an unusual artefact, I left Oxford without the daguerrotype. And I’m still thinking about it. I like its subtle creepiness. I suppose there’s still time to phone the shop and buy it. Would you? I also climbed Oxford’s Carfax Tower on Sunday morning. It was a sunny one and I got this great picture. I think it was worth the claustrophobic winding stair lung-busting clamber to the top. Oh, and…there’s a viral video doing the rounds. It features my old school, Mount St. Michael’s in Claremorris, Co. Mayo. The convent was home to many, many nuns in its history, and the bulk of the convent building has recently been demolished. Watch the video and see if you can locate the silhouette of a nun in an upper window! I’m close to certain that this is a hoax, but it’s fun to see my old school hitting the headlines. I used to love browsing antique shops when I lived in Edinburgh. Sadly there are very few here in Donegal. That’s a real shame! I’ve been to a good one in Belfast but they seemed to specialise in large items of furniture. So interesting but yet so creepy! I still have that moving mirror…if I keep buying creepy things I’m not sure if you’ll come to visit me ever again!